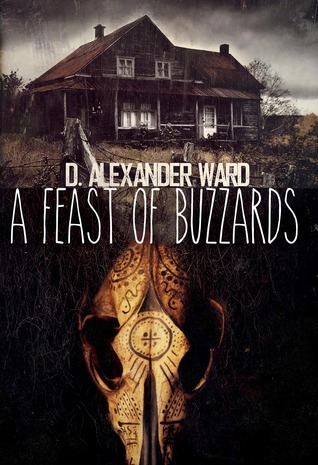 It’s time for another Goodreads giveaway of my story collection, A Feast of Buzzards. You will have 8 days in May to enter to win one of three copies I have up for giveaway. No crazy inscriptions with this giveaway, although I will sign it for you. In my own blood if necessary. I’m not even kidding. I’ll do it, you sickos. Published by Hazardous Press, A Feast of Buzzards has eleven stories to keep you company in the dark of night. Cover art by George Cotronis. Words by me. Haints, sea creatures, demons, criminals, otherworldly beasts and some all-around bad people. I put them all in there just for you. So take advantage and enter to win. Begins May 1st, ends May 8th. Giveaway ends May 08, 2014.